I am a law student at Emory University School of Law in Atlanta, Georgia, USA and am currently Assistant Managing Editor for Special Content for the Journal of Law and Religion. Prior to law school, I worked with the China Program at The Carter Center. While an undergraduate student at Washington & Jefferson College in Washington, Pennsylvania, USA, I conducted three independent research projects studying religious freedom, religious identity, and religion and development in the United Kingdom, Ireland, Switzerland, Turkey, Spain, Morocco, India, and China. I spent the Autumn Semester of 2014 at Lingnan University in Hong Kong, during which I worked with the Mission for Migrant Workers, an advocacy orgnaization for migrant workers in Hong Kong. My interests include the intersection of law and religion, religious pluralism, the influence of religion in legal history, and law and religion in the Asian context. 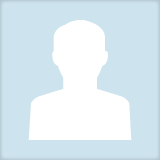 Aaron Walayat updated their profile information.